Luminus ® LED GU10 light bulbs are spotlight bulbs that produce a soft edged and precise beam of light. 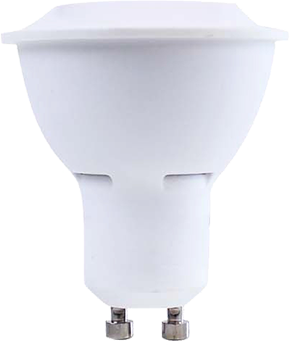 These dimmable Energy Star certified bulbs have a 38° beam angle and can produce a bright white light (3000K). 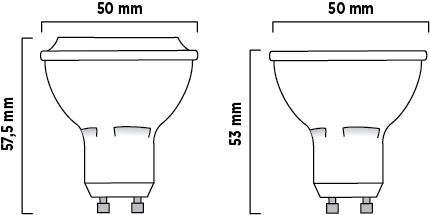 Luminus ® LED GU10 bulbs are typically used in track and recessed lighting fixtures and are the perfect replacement solution for 50 or 60 watt halogen bulbs.